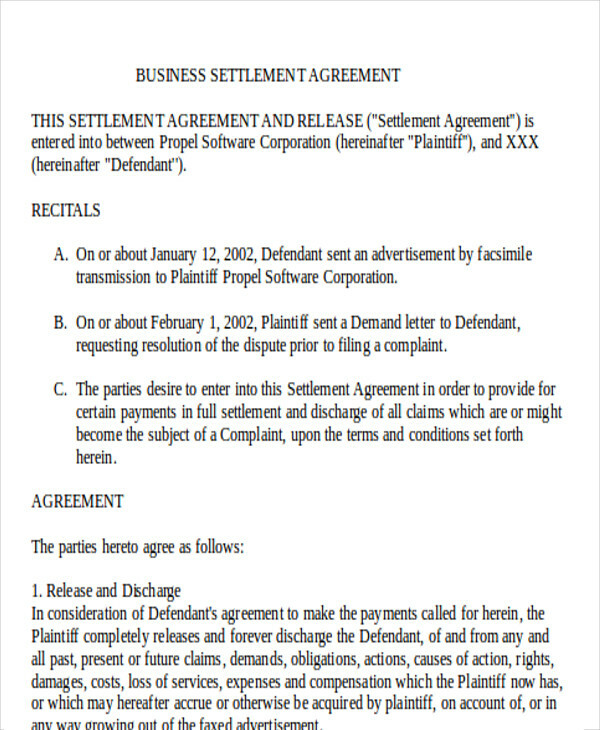 A resolution between parties who are in dispute on mostly likely about a legal case, which happens most often between employees and employers, is what you would call a settlement, according to Wikipedia. 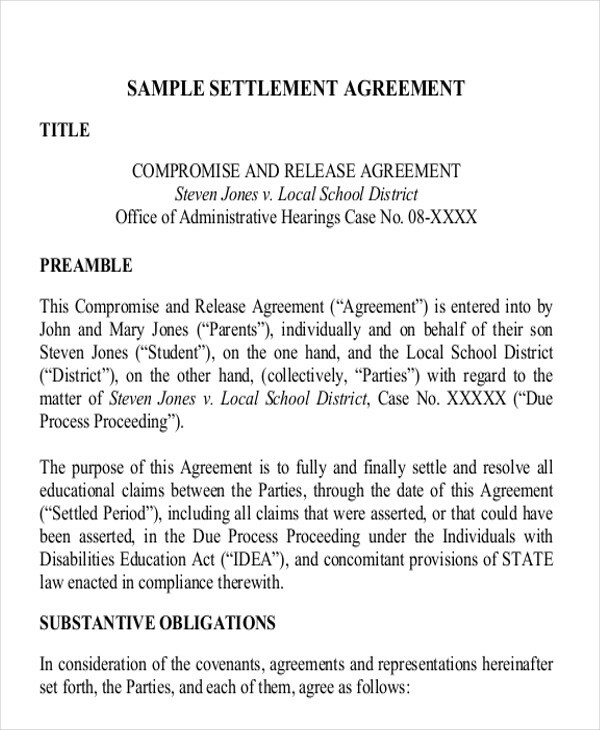 A settlement agreement also prevents worsening disputes and battles in court, having both parties or the parties involved opting for a settlement agreement rather than having to have a battle in court. It is also highly recommended to seek and ask assistance from a legal counsel or from a professional lawyer to have the matters handled well. 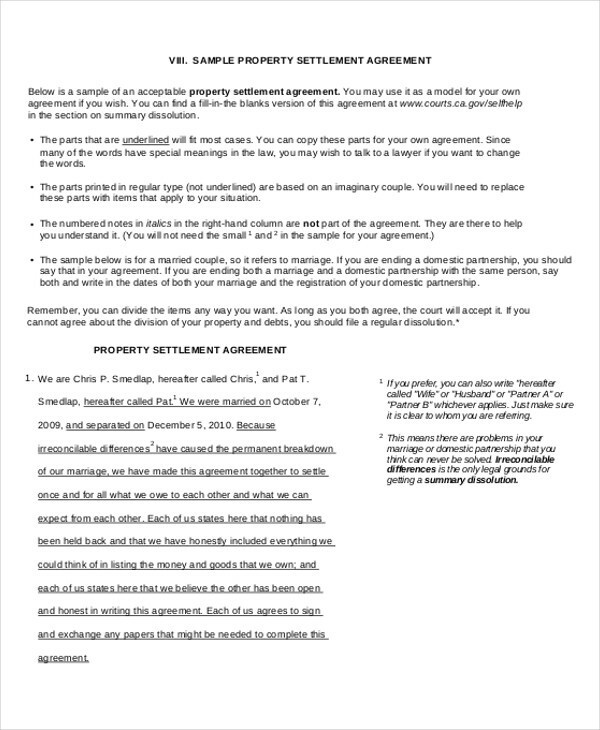 You can also check out this page’s Sample Agreements that you may find useful and helpful. 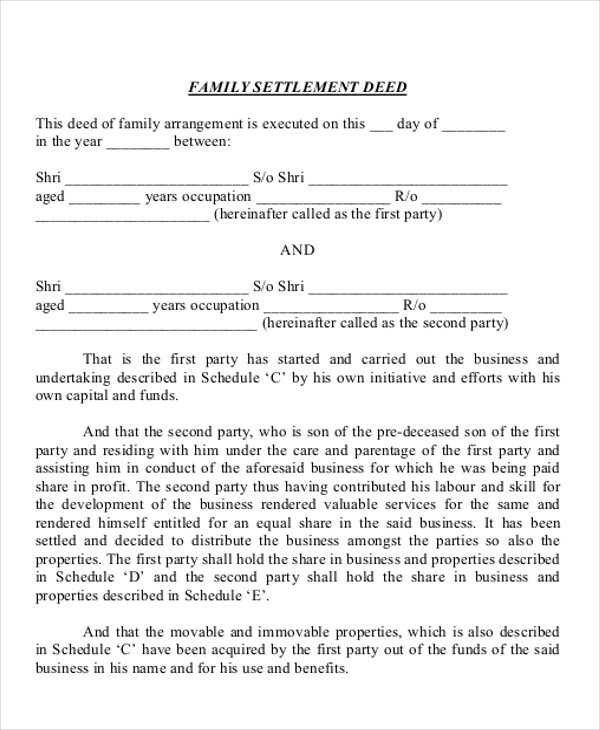 According to eHow, parties would often put an end to a dispute or having it resolved by negotiating a settlement. 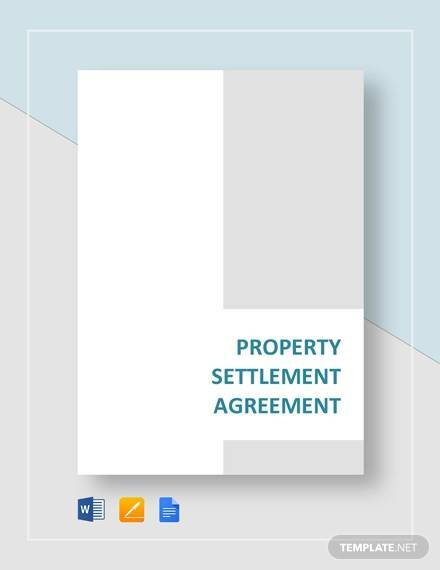 And since it is essential and highly important for you to know what you are dealing with and how you would go about dealing with it, when facing legal matters, below are different types of settlement agreements with its definition. 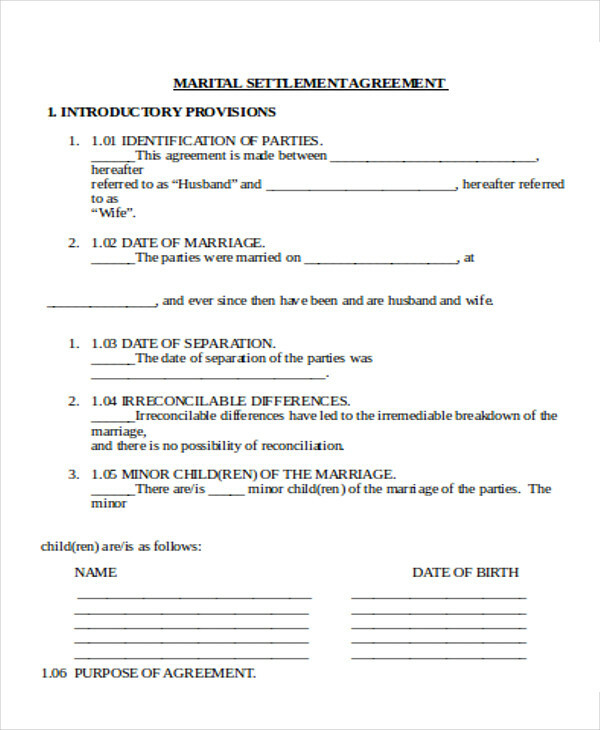 You can also check out this page’s Lease Termination Agreements that you may also ind useful. Structured Settlements – according to eHow, this is the type of settlement that can be paid monthly, yearly, or every few years. 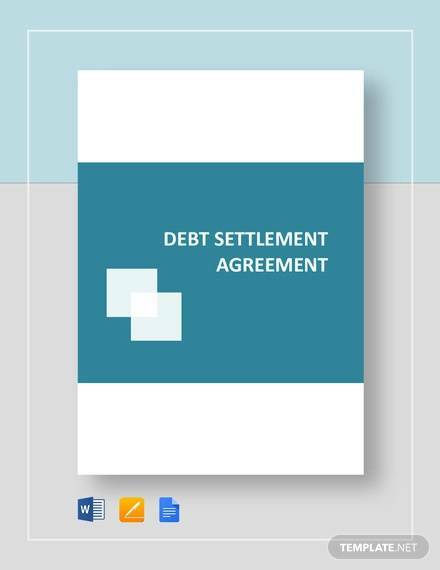 Since this type of settlement agreement is specified and structured, its payment mode and structure is some sort of like an installment basis. 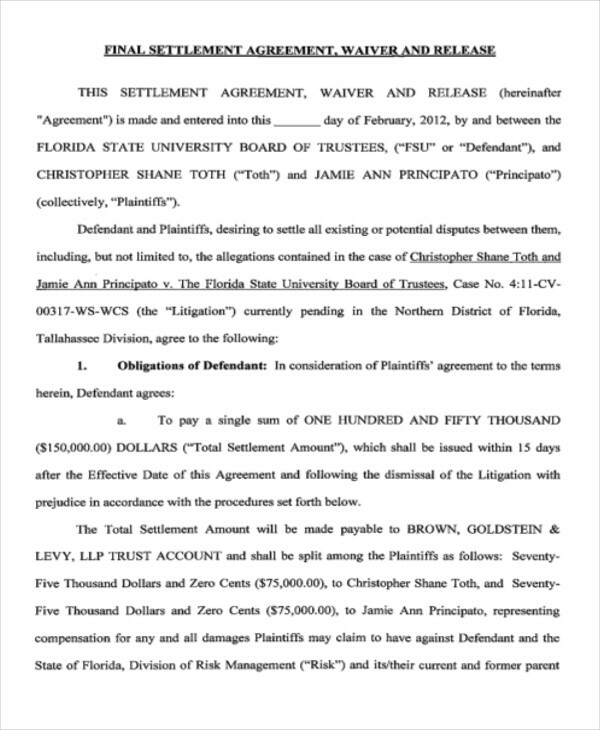 Clearly, this type of settlement is not the best option if you, as the receiving party, would want to have the full payment at once and on an immediate basis. Temporary Life and Joint Survivor Annuity Settlement Agreements – the difference between the joint survivor annuity and a temporary life is that in a joint survivor annuity, you will be still getting a structured settlement not only for the entirety of your lifetime but your beneficiary will also be getting a structured settlement even after you die, as opposed to a temporary life that will end when you die. 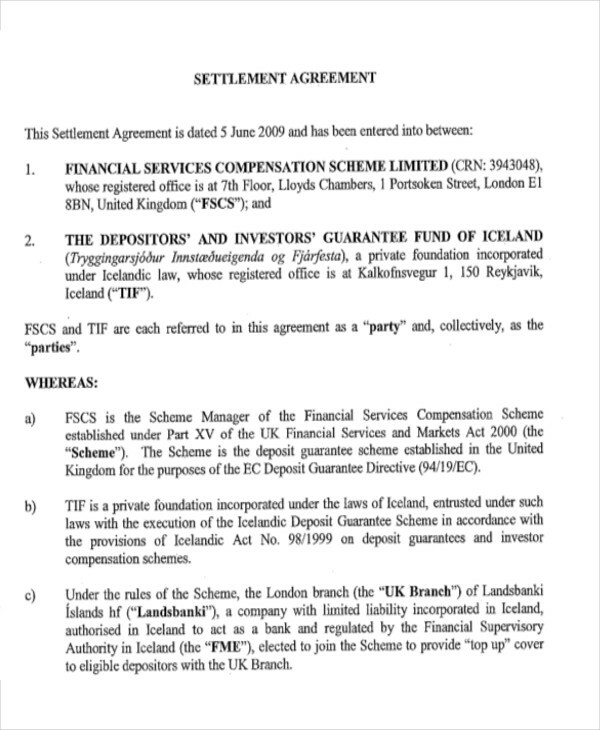 Lump Sum Settlement – this type of settlement agreements is what most huge companies would definitely prefer. 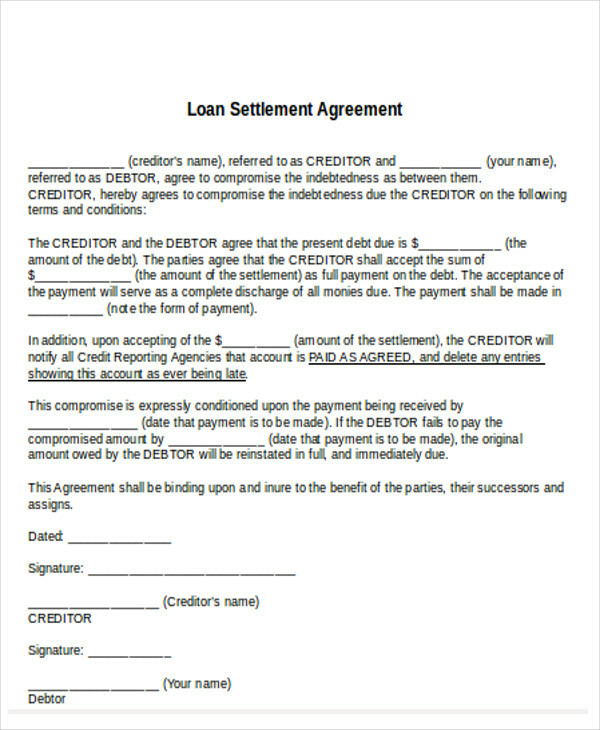 Lump sum settlement, according to eHow, is when the receiving party of the agreement will be paid in full amount at once. 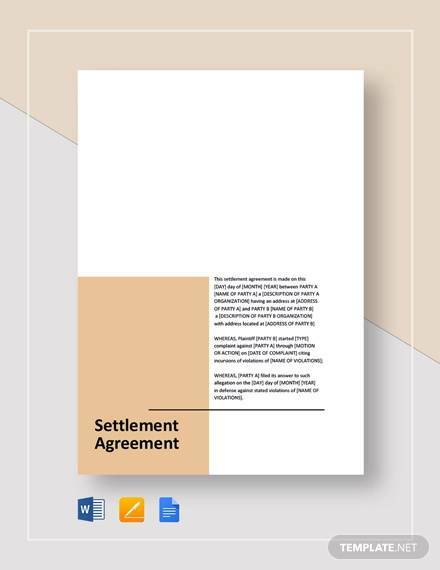 The reason why big companies would rather have this kind of settlement agreement is that they can have the settlement payment written off their taxes, although taking and opting to have the lump sum settlement would require the paying party to also pay the taxes in full amount. Moreover, you can also opt to have a look at Sample Renters Agreements for free, which can be very useful and helpful for your journey and endeavors.